Live and breathe the spirit of Bhakti Culture - the yoga of love. Take long walks in solitude around the farm, or meet people of all ages and from all around the world. Enjoy inspiring conversations around the camp fire. If you are curious, visit our beautiful Radha Govardhandhari temple and learn about the spiritual basis of our 'simple living, high thinking' philosophy. As a permanent eco yoga community, we provide classes ongoingly for all guests, taught by a variety of teachers. The recommended arrival day is Monday, when we run an 11am Welcome Tour for all new arrivals and introduce you to our program, our vision and our way of life. To get a general idea about our program, please have a look at our activities overview. At the moment we are running yoga classes 2x/day (early morning and afternoon) as well as Yogic Living classes on Sun-Fri at 12:30pm, which encompass a broad variety of topics around a healthy yoga lifestyle, like philosophy, meditation, ayurveda, life coaching etc.. Many of them are the 'best of' parts of our Yoga Teacher Training curriculum, made available for all guests - like on this example schedule. Are you interested in taking a yoga course in Byron Bay (or in its even more beautiful hinterland) to learn more about this ancient holistic practice? Perhaps you live at the Gold Coast and want to pursue a fulfilling career by becoming a yoga instructor? If so, Krishna Village has the best yoga courses available for you – whether you are looking to kick-start or deepen your personal practice or pursue a career as a teacher. Yoga isn’t something you can pick up by watching YouTube videos. The yogic body of knowledge has been developed and practiced in India for thousands of years. Yoga comprises a whole range of physical, mental and spiritual practices with asanas (body postures) only being the most commonly known and practiced element. Combined, they form a complete body of knowledge that addresses health, wellbeing and spiritual connection in a sustainable and holistic way. In our modern world, yoga is an amazing practice to help us cope with so many different problems – but you will only experience the full benefits if you understand the practice correctly. Daily yoga classes – We have two daily yoga sessions: one in the morning and one in the afternoon. Our yoga sessions are well suited for beginners and options are provided for advanced students. The main style is Vinyasa Flow but we also provide occasional restorative, yin or partner yoga classes and 5-rhythm dance meditations. Yoga teacher training 200 hrs – With this 6-week immersion course you can become a certified yoga instructor. You will be living and training full time at the Krishna Village eco yoga community, participate in daily training sessions and enjoy 3 daily vegetarian meals per day. During this 200-hour training program, you will start giving yoga classes to our guests within two weeks of your training start, so by the time you leave you don’t only hold a certificate on a piece of paper, but have gained invaluable teaching experience along the way. Yoga teacher training 300 hrs – Our Level 2 Vinyasa yoga teacher training program is perfect for yoga instructors who want to perfect their skills. This 5-week immersion program that is designed to deepen your understanding and experience of teaching and your personal sadhana and is available for teachers with a minimum of 50 hours of teaching experience. The yoga of birth – Pregnant women, yoga teachers and doulas are invited to enrol in this course and get training on yoga and pregnancy, labour, and post-natal practices. The course itself runs for four days at Krishna Village and – if homework is completed by certified yoga teachers – can be applied as 85 hours of accredited professional training with Yoga Alliance or 50 hours of accredited training with Yoga Australia. 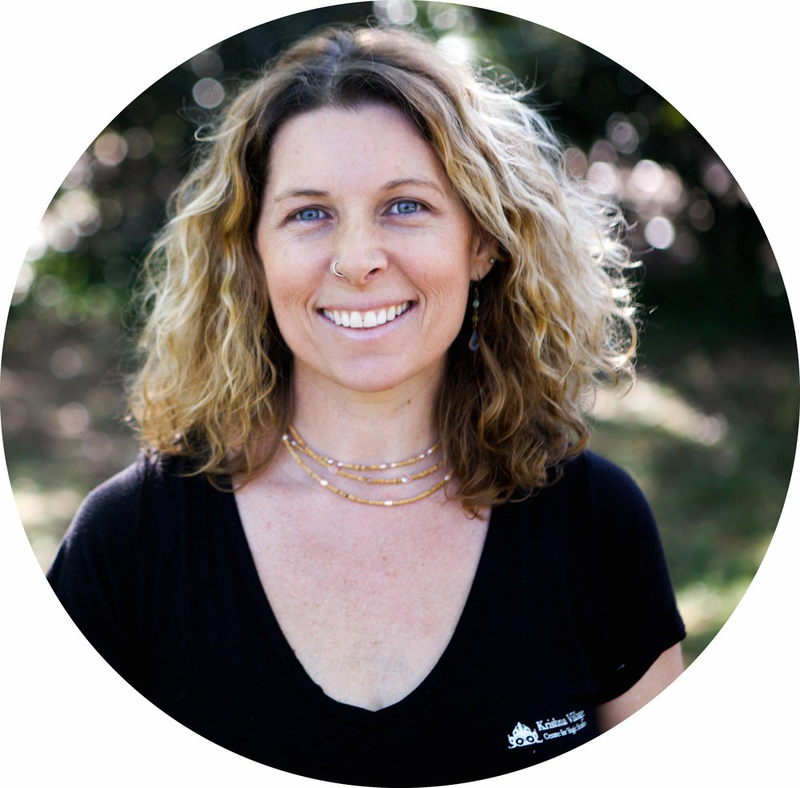 Our yoga courses are a special treat for everyone who loves the rolling green hills of the Northern Rivers region between Byron Bay and the Gold Coast, Australia. Our retreat centre is situated in the magical foothills of Mount Warning, right in the scenic landscape of the Tweed Caldera. Truly a piece of paradise! Yoga courses are great for anyone who loves this gentle, nurturing practice and they are especially recommended for those who want to make a career out of their passion. The best yoga courses are those which help students to grow not only physically but also mentally, emotionally, and spiritually. Yoga offers practitioners a way to connect with themselves on a deeper level and live a more fulfilling and conscious life. If you are considering enrolling in one of our courses and you want to know more about the benefits that you can look forward to experiencing, here is a closer look at just a few of the reasons that you might want to join us. You don’t have to have a pre-determined level of yoga before joining our courses. We welcome anyone, whether you are an absolute beginner or somebody with formal training. We want to ensure that every person who stays with us gets the best experience possible and leaves inspired and enriched. Yoga attracts truly fascinating people who are on a journey of self-discovery, and it can be a powerful thing to surround yourself with people who have a similar mindset. Exploring together, you will be able to share and learn in a way that helps you to connect and think in innovative ways. By joining our courses, you will meet fantastic people and forge lasting relationships based upon fundamental connections. You will find that people are friendly, and we work to ensure that everyone is as comfortable and open as possible. Of course, yoga can help you make more conscious decisions for your health and wellbeing. By helping you to look inward, yoga helps you to realise a deeper connection to your body and the way that it serves you throughout your life. You deserve to be happy and at ease in your own body. By being in control of your movement and breath, you will naturally be more confident and comfortable, thus helping you to strengthen your mind and mental fortitude. As mentioned earlier, yoga brings you together with people who share the same passions and aspirations as you. You will forge lasting friendships and become part of a wider community. Wherever you are in the world, you will always be able to find a yoga class and know that like-minded people are close to you. Our courses equip you with skills and understanding that you can use no matter where you are in the world. Becoming a part of the yoga community is a life-changing opportunity, and might even inspire you to reorient your career and pursue teaching qualifications. If you are interested in any of our courses, please have a look at our course calendar or contact us to find out more. Krishna Village is NSW's best yoga retreat for people looking to relax & recharge. We offer yoga teacher training for visitors who want to become yoga instructors. If you are looking for a retreat, we offer , meditation and spiritual retreats to help you relax. Enquire online or call us to learn more. 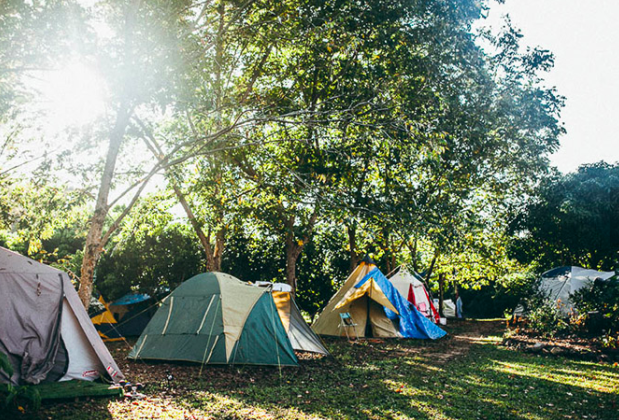 Located between Byron Bay and the Gold Coast, the Krishna Village can host up to 75 people in a combination of rooms, dorms and camping spots. There are usually around 25 full time volunteers who work in our organic gardens and maintain the grounds, 15-20 Yoga Teacher trainees, 10 long term community members and 15-25 retreat guests and Karma Yogis. 1) Before you book, please read our terms and conditions including our refund policy. 2) Select your preferred start date (Sun-Fri, not Sat!!). In addition, some classes are taught by our yoga teacher trainees, and by travelling yogis who hold appropriate certifications.